One of the most common misconceptions about solar panels is that they are an extremely inefficient avenue of generating power. The truth is that this used to be the case, but modern technology has allowed solar panels to become much more efficient. These solar panels have evolved and reached conversion levels that were untouched before. Since this misconception is so prevalent we thought it would be a good idea to write an article about solar panel efficiency. So read the below information as it can benefit you a lot. Every solar panel has a purpose of converting raw energy from the sun into useable electricity. This process occurs a little different for every panel as some convert this energy more easily than others. This energy conversion rate is their efficiency. As we mentioned above the average solar panel efficiency changes for each type of panel. Some panels have low rates of 7% while others boast rates up to 25%. If you have to figure the average solar panel efficiency for all panels it would be around 13-18%. This average increases every year as solar technology is constantly getting better. It should be known that the more efficient a solar panel is the more money it will cost. This is because the materials used in these panels are of higher quality. The processes that these efficient panels go through cost a lot more money. With that being said the price averages out as you won’t have to buy as many panels. As we mentioned earlier solar technology is constantly evolving. This means that panels are becoming more efficient and more powerful. 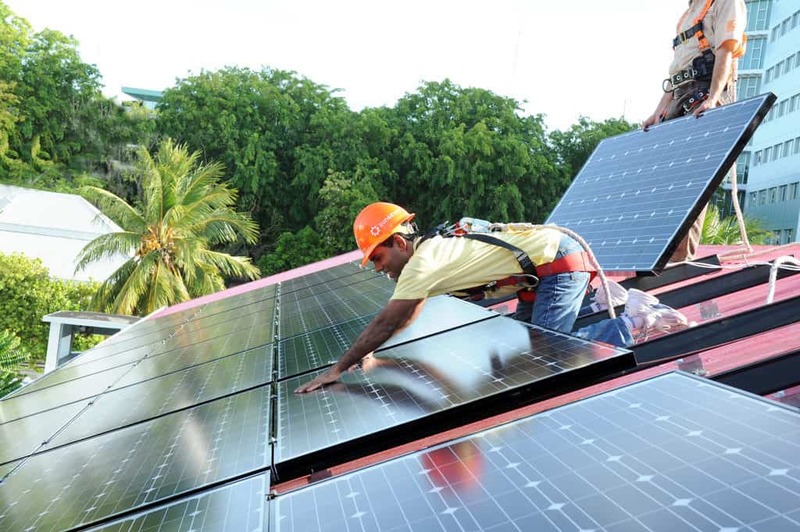 Recently scientist have been able to reach solar efficiency rates as high as 34.5%. Knocking all other efficiency rates out of the park. The only problem is that manufactures have yet to figure out how to produce these panels on a large-scale. The cost of creating panels like these is just to expensive at the time being. This will of course change as times go by and the technology gets better. With that being said don’t let this be an inhibiting factor from making you purchase your own panels now. You simply can’t wait for the next boom in solar technology to happen as you never know when that’s going to happen. In the mean time you can purchase mono-crystalline panels as they are the most efficient panels on the market. Which Panels Should You Choose? If you’re looking into purchasing your own solar panels then you might be wondering which ones are the best. There are simply so many different types of panels out there with their own positives and negatives. 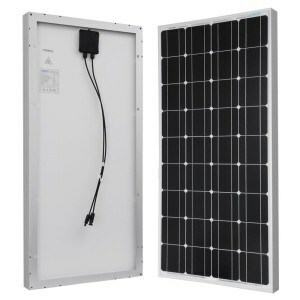 In our opinion mono-crystalline panels are your best option. They are the most efficient solar panels on the market. Sometimes even reaching up to 20-25%. One benefit of mono-crystalline panels is that they often last decades. Their high quality materials make them much more reliable. You also need fewer panels on your roof since they are more efficient. Overall these are the best type of solar panel and will last you decades. Come check out these other resources as they can expand your mind greatly.